It’s election week at Tinsley Meadows! We are voting for our school Councillors this week. 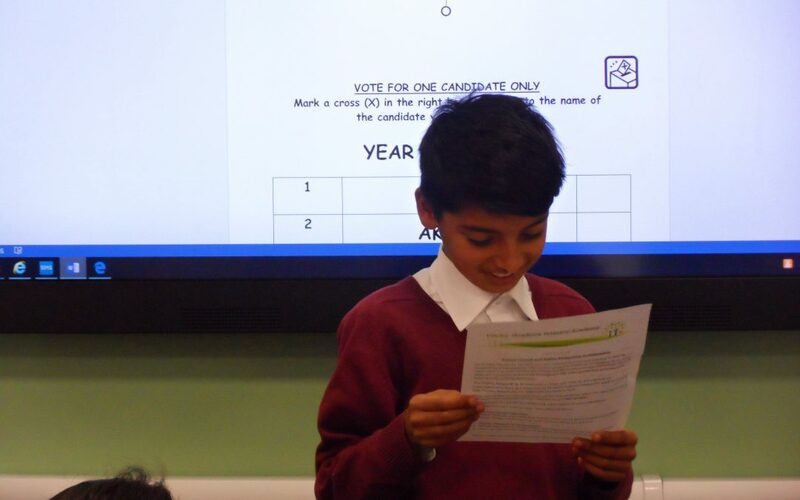 Candidates are busy reading out their manifestos in order to persuade their classmates to vote for them in the upcoming election on Wednesday! Results will be announced in a special assembly on Friday morning. 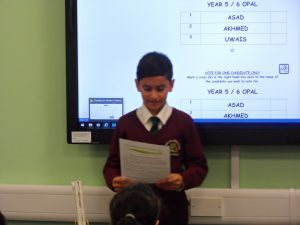 Here are pictures of candidates from Opal class reading out their manifestos to their classmates!